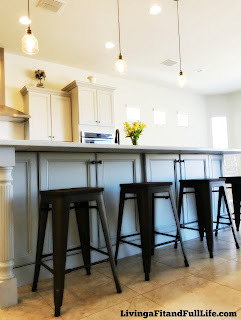 Living a Fit and Full Life: Perfect Your Farmhouse Look with Best Choice Products Set Of 4 Industrial Metal Counter Height Bar Stools w/ Wood Seats! Perfect Your Farmhouse Look with Best Choice Products Set Of 4 Industrial Metal Counter Height Bar Stools w/ Wood Seats! 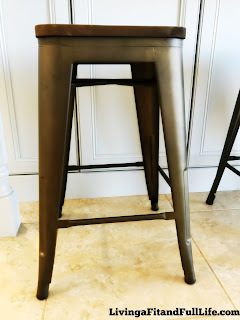 Turn your home into a bistro or bar with these versatile Tabouret Style 24” Backless Bar Stools. 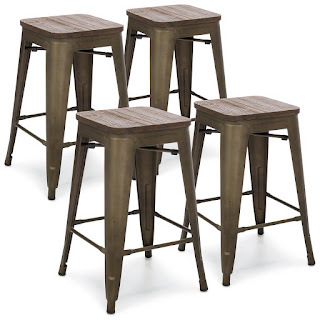 Styled with a rustic powder-coated finish and wood seats reminiscent of a Tuscan bistro, these 4 metal bar stools feature a classic design that’s as aesthetically pleasing as it is sturdy. Great for any countertop or bistro dining, these postmodern chairs will be the perfect addition to your home. 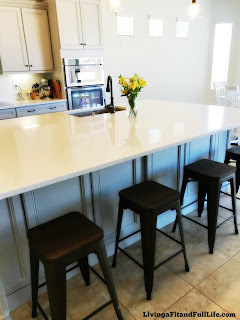 Perfect your farmhouse look with Best Choice Products Set Of 4 Industrial Metal Counter Height Bar Stools w/ Wood Seats! I just bought a new home several months ago and have been on the hunt for the perfect counter height bar stools to help me complete the look of my new farmhouse kitchen. I'm absolutely over the moon happy with these amazingly beautiful bar stools. I love that they're incredibly unique and not the typical bar stools that you see in every single store. They're copper, wood and extremely well made. I also really love how comfortable they are to sit on! The foot bar on the bottom is the right height for all the adults in my home and I love how sturdy it is. The seats came already put together, so all I had to do was un-box them and place them in my kitchen. I've gotten a ton of compliments on them already and think they fit in with my kitchen decor perfectly. Even if your kitchen decor isn't farmhouse, these would still look incredibly beautiful in any kitchen. 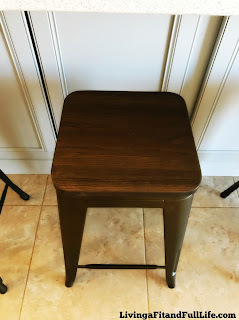 Best Choice Products Set Of 4 Industrial Metal Counter Height Bar Stools w/ Wood Seats are the perfect compliment to any kitchen and I highly recommend them!